Sorted! 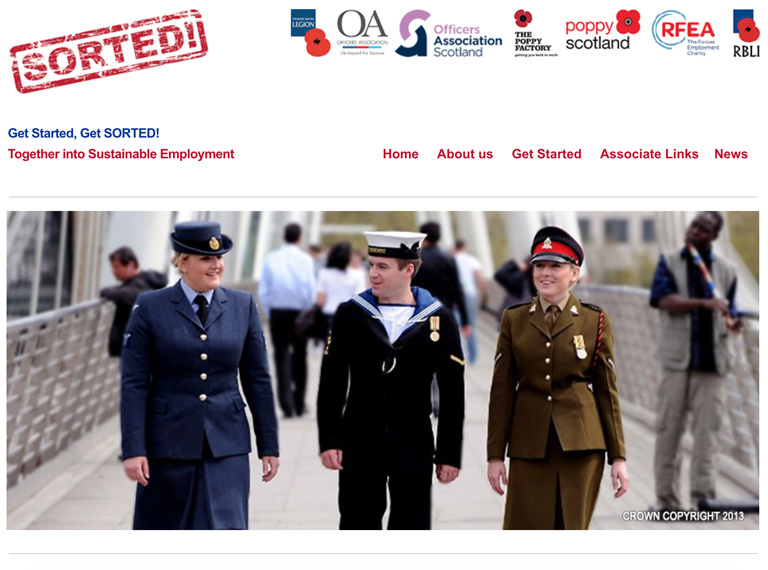 Is comprised of seven established charities, which provide a wide range of employment related services and support for the forces community to find and stay in work. The Poppy Factory team specialise in getting wounded, injured and sick ex-service personnel back into work, using teams of specialist employment experts. Royal British Legion Industries (RBLI) is a fully funded 5 day course which equips ex-Armed Forces personnel with the tools to get into and maintain a civilian job appropriate to them. 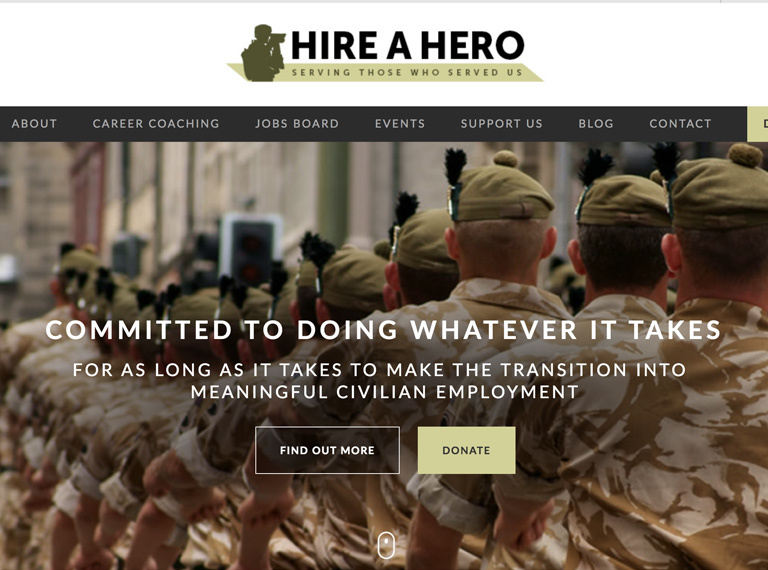 Hire a Hero supports service leavers and veterans to make a successful transition into civilian life. 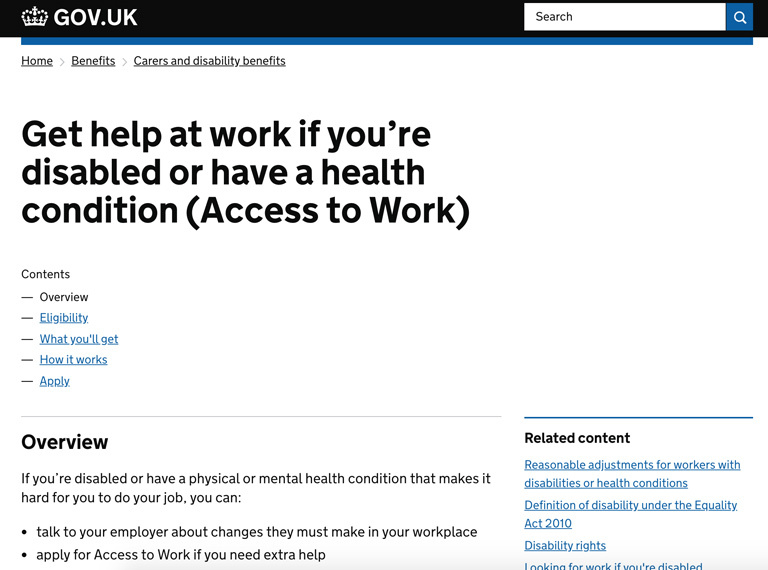 Access to work is a government funded programme available to support people, including service leavers who have been medically discharged and disabled veterans, back into work. 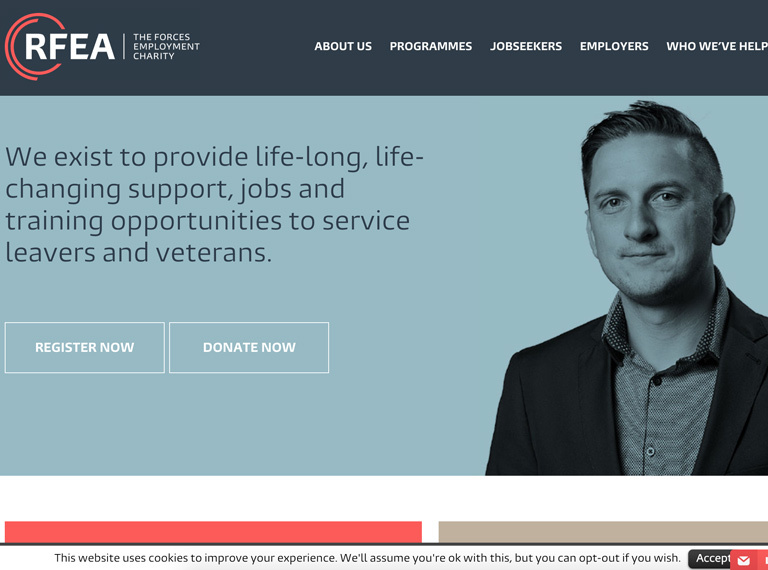 Regular Forces Employment Association helps men and women of all ranks leaving the Armed Forces to find - and to remain in - employment throughout their working lives. 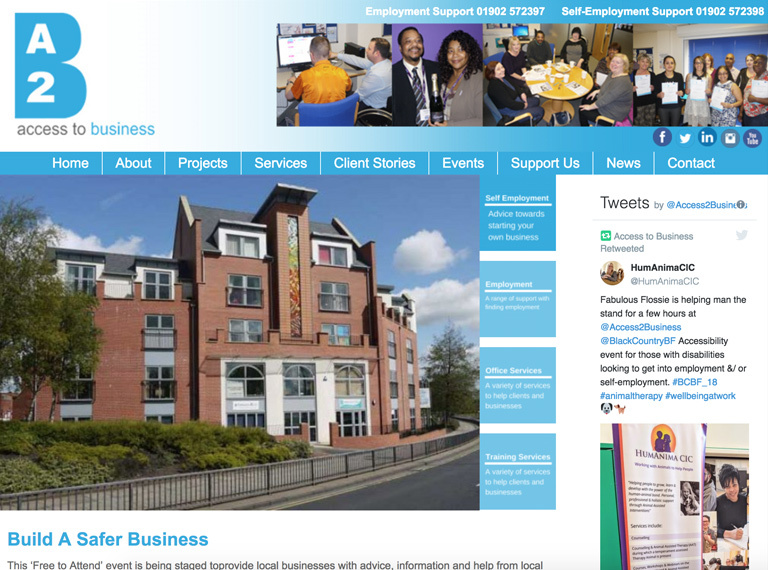 Access to Business provides specialist advice helping those who wish to become self-employed, helping job seekers find employment, and providing recruitment services, office services and training courses to local businesses. 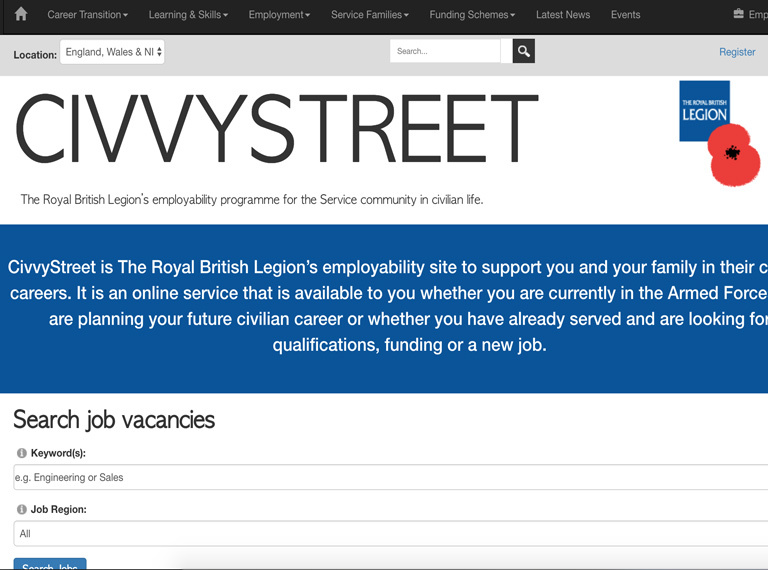 Civvy Street is a website for serving and former members of the Armed Services and their dependants. 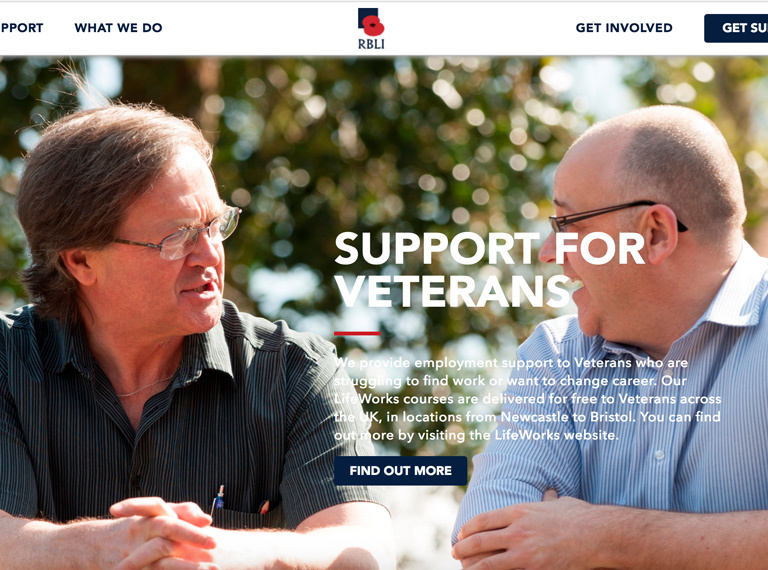 It offers free information and advice about resettlement into civilian life, learning and work. 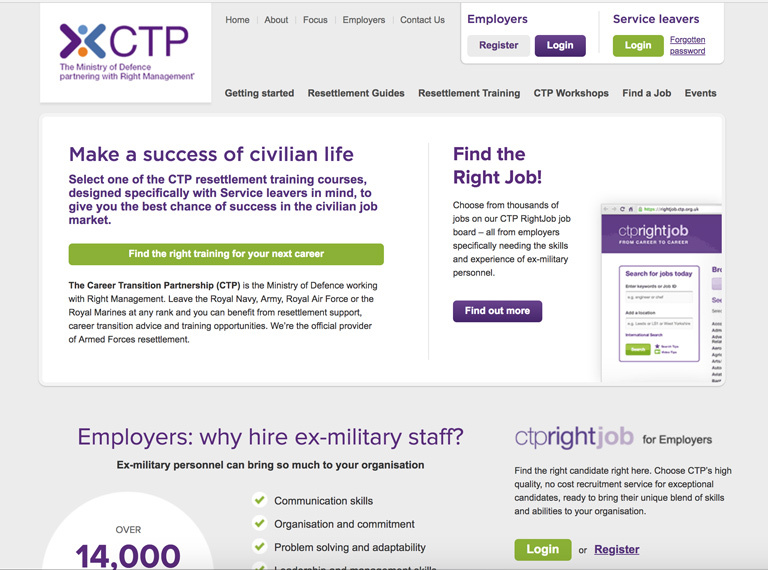 The Careers Transition Partnership is the official provider of armed forces resettlement. 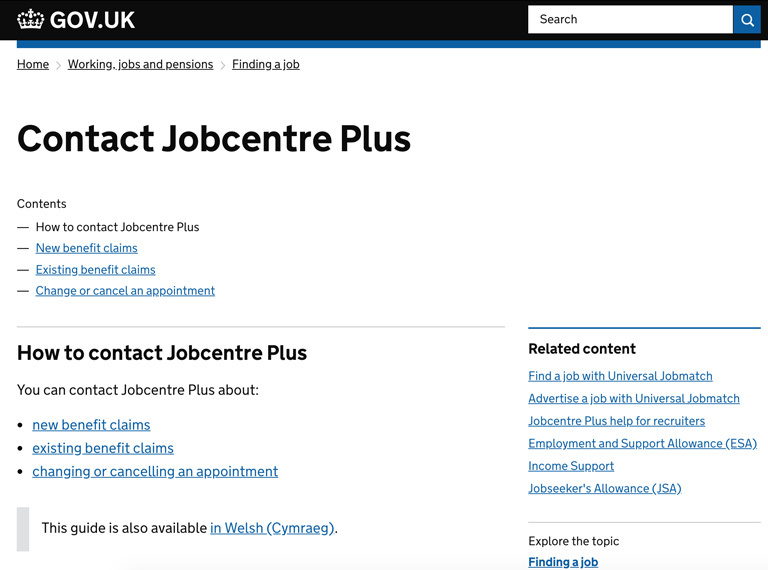 Jobcentre Plus in Wolverhampton offer employment support and information. They are based at: Molineux House, Temple Street, WV2 4AU. 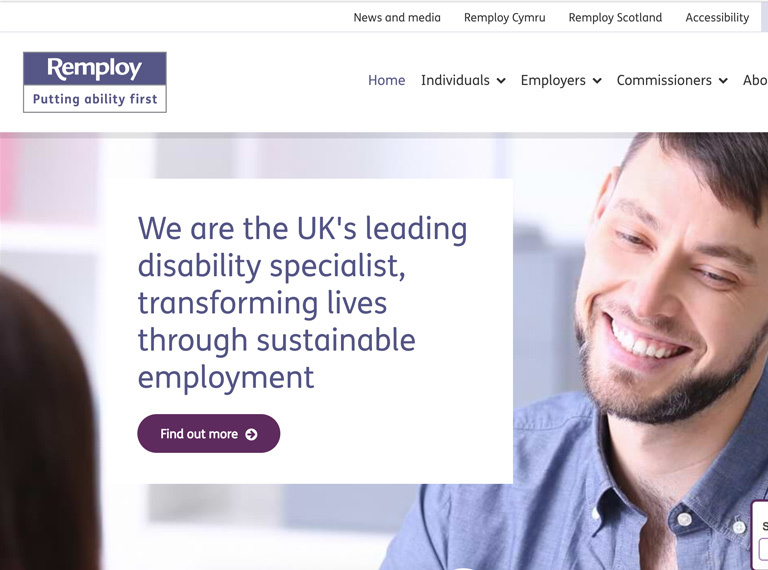 Remploy 'armed forces champions' provide specialist expertise in supporting serving, ex-serving personnel and reservists to adapt their skills for civilian employment. 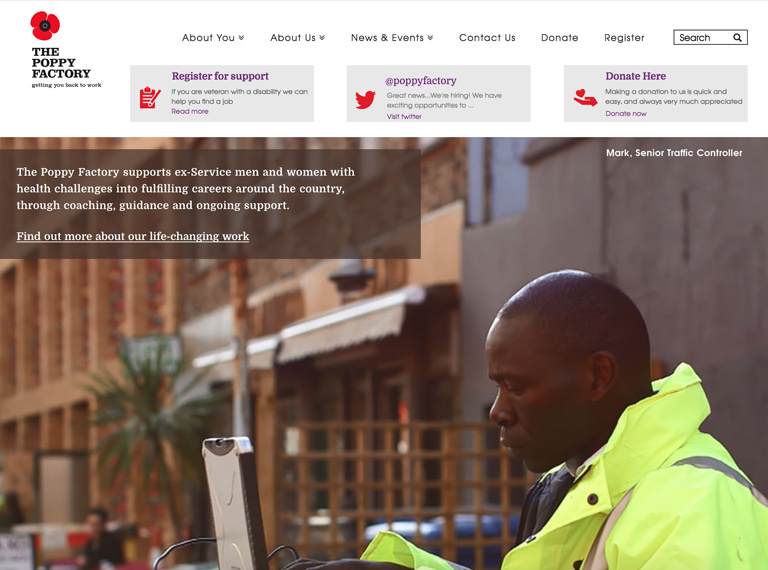 The FRS brand has helped over 10,000 ex-servicemen and women into work since 2001. 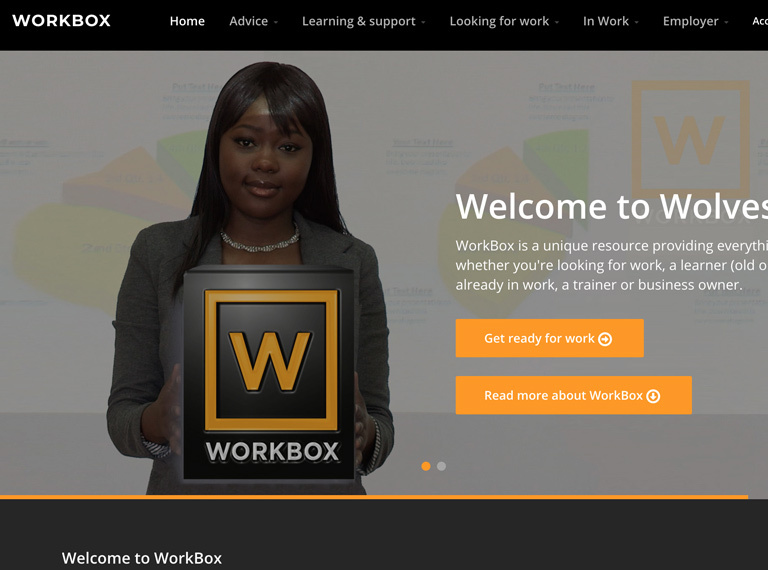 WorkBox is a unique resource providing everything you need whether you're looking for work, a learner (old or young), already in work, a trainer or business owner. Find out how organisations in the area can help you in becoming self employed. 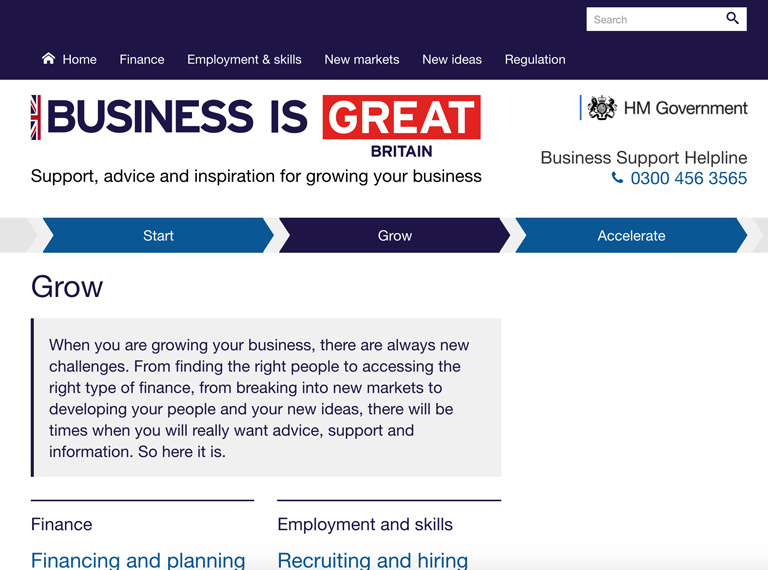 Business in You start up loans scheme offers loans of around £2,500, as well as access to expert support to help develop a business plan. 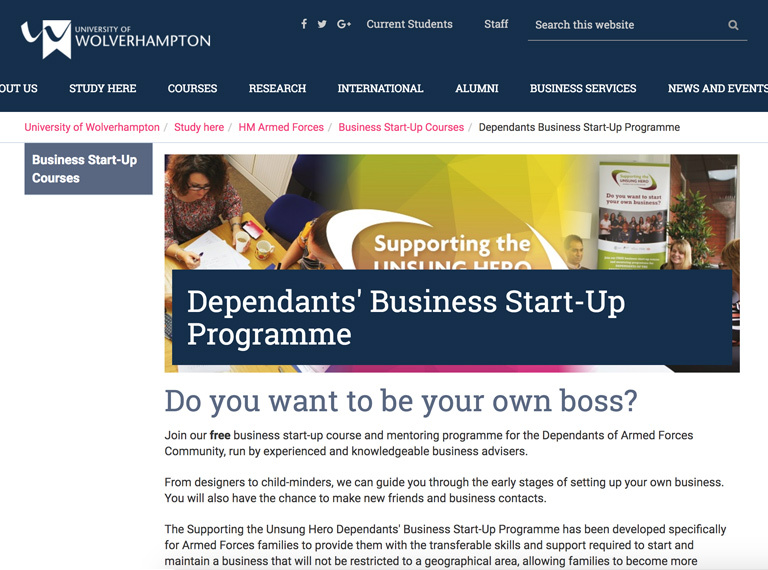 Dependants' Business Start-Up Programme is a free business start-up course and mentoring programme, run by experienced and knowledgeable business advisors. 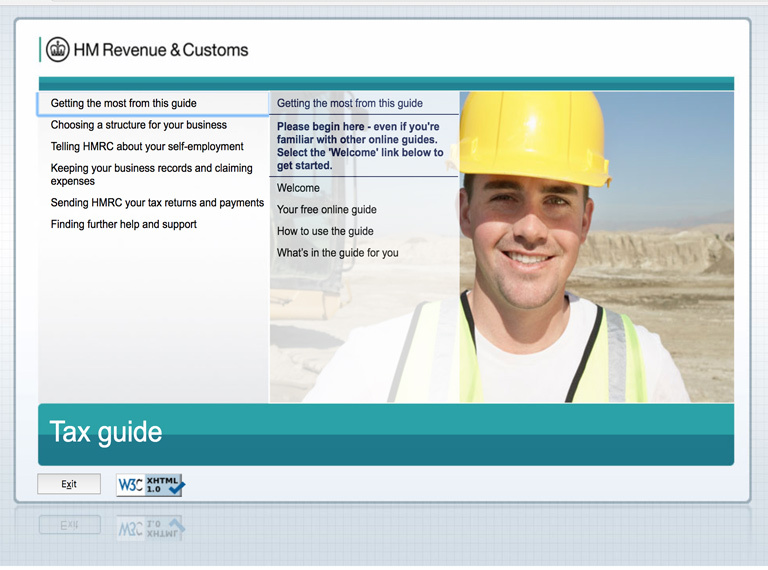 HM Revenue and Customs has a lot of support for people who are becoming self employed. 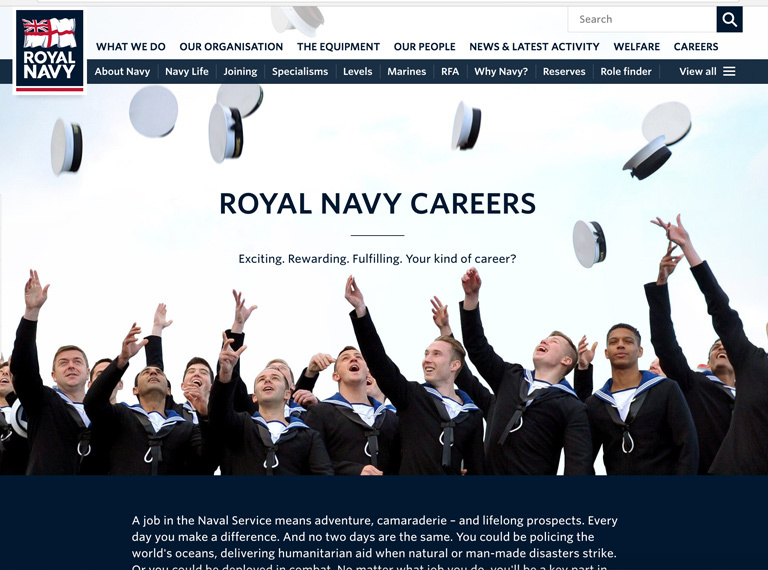 If you are interested in a military career you can find out about Army Jobs, RAF and Navy Careers. 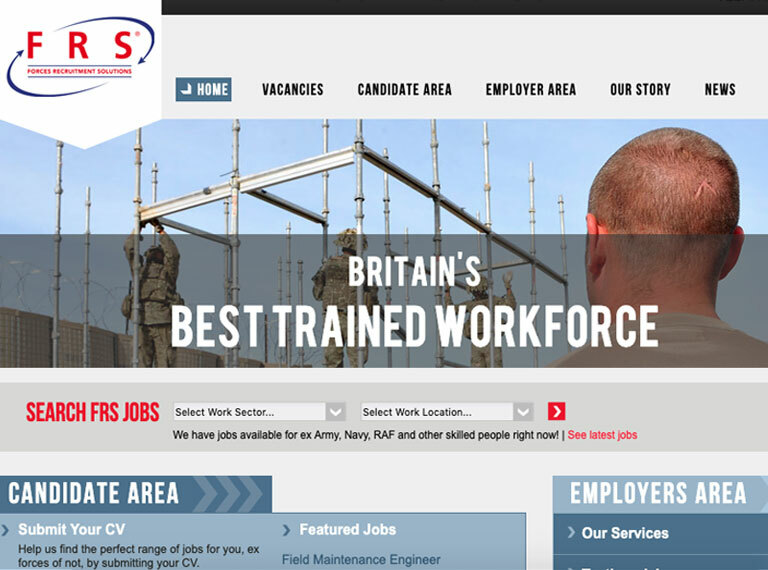 There are also opportunities in the Army Reserve, The Navy or the RAF Reserve. 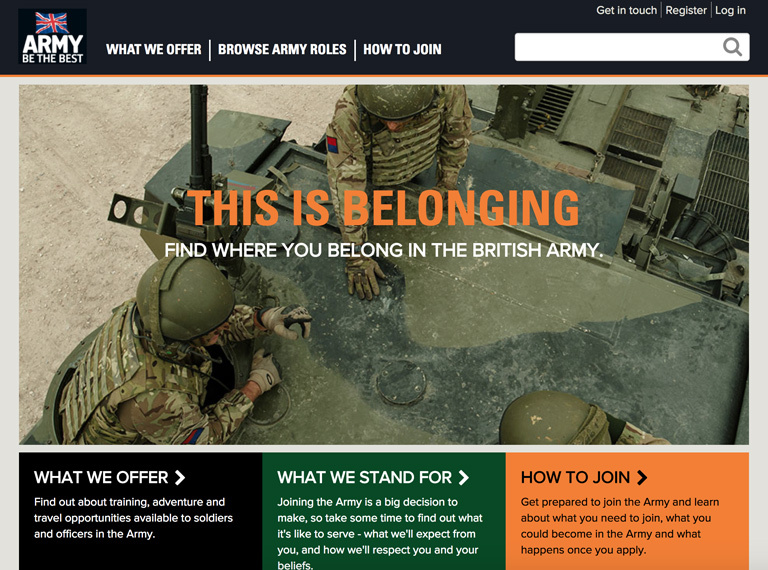 Find out about training, adventure and travel opportunities available to soldiers and officers in the Army. 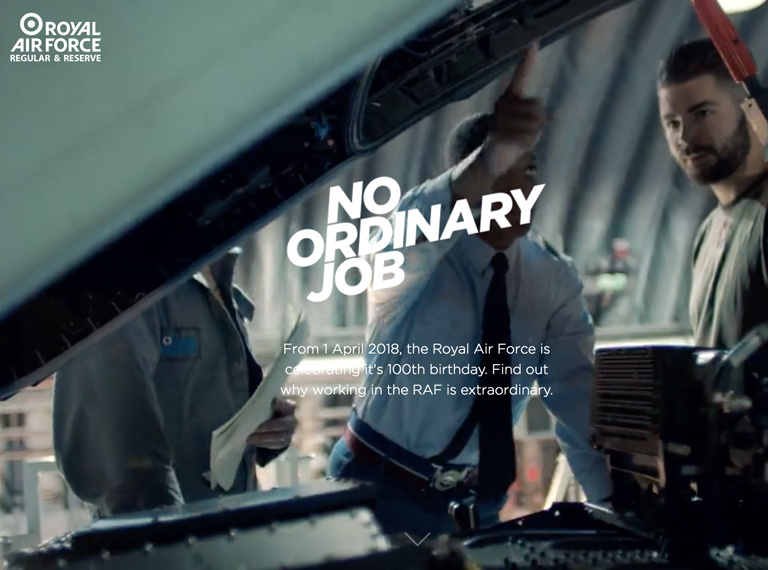 From 1 April 2018, the Royal Air Force is celebrating it's 100th birthday. Find out why working in the RAF is extraordinary. See where the Royal Navy can take you.